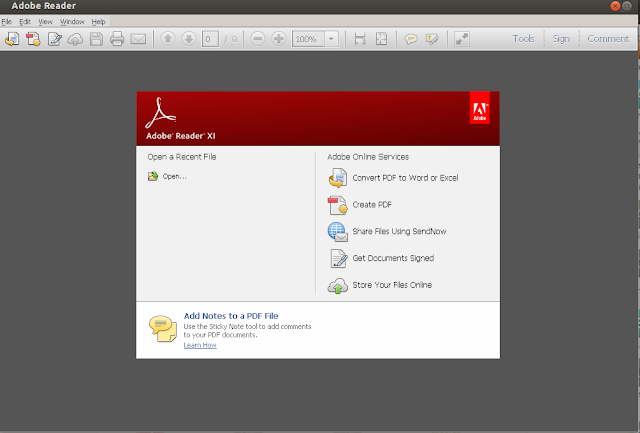 How to highlight PDF's in Ubuntu? 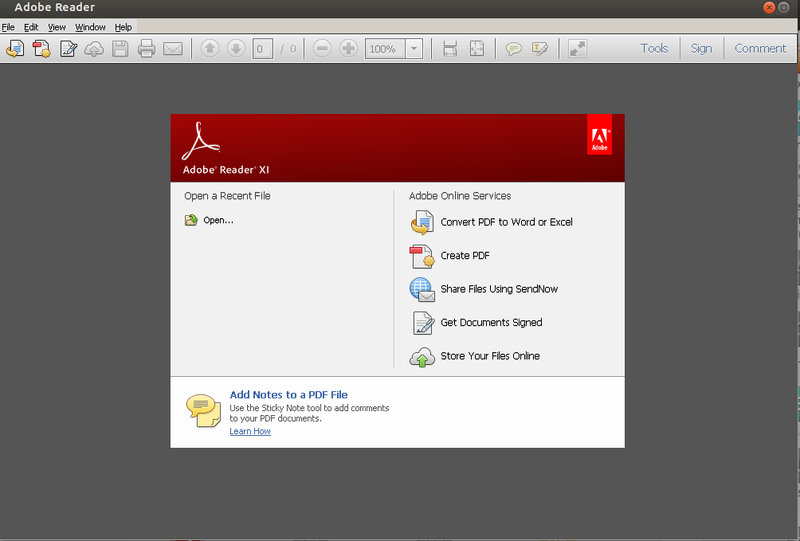 This post is the sequel to the earlier article on How to annotate PDF's in Ubuntu?. 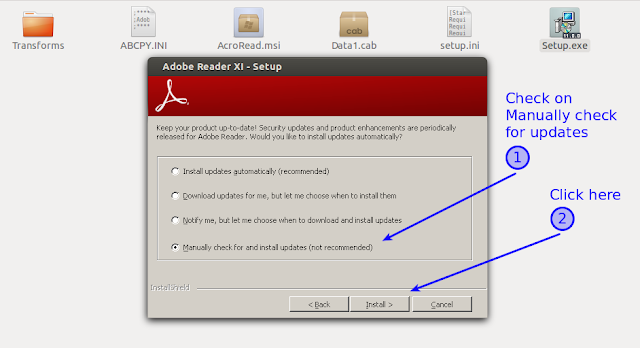 In this article, we will install Adobe Reader XI in Ubuntu 12.04, though you should be able to install it on higher versions too, without any changes. Lets begin rightaway. We will install the Adobe Reader XI developed for Windows, since Adobe Reader 8 available for Linux-based OS's does not support highlighting PDF's. 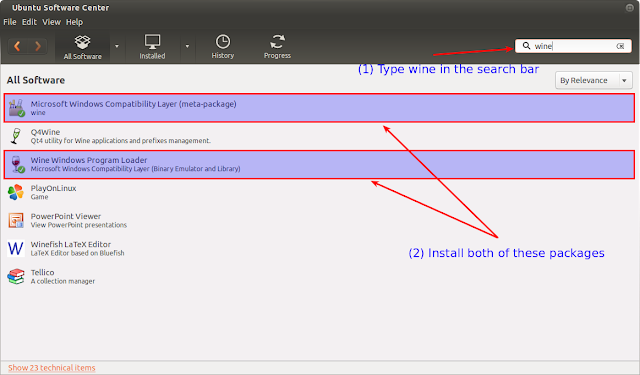 To install and run this Windows-based version, we need to install wine on Ubuntu. 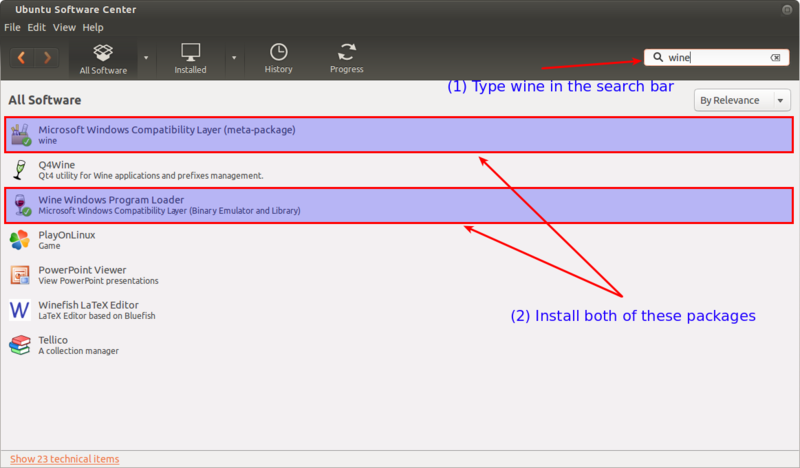 To install wine, open Ubuntu Software Center and install "Microsoft Windows Compatibility Layer (meta-package)" and "Wine Windows Program Loader" packages. 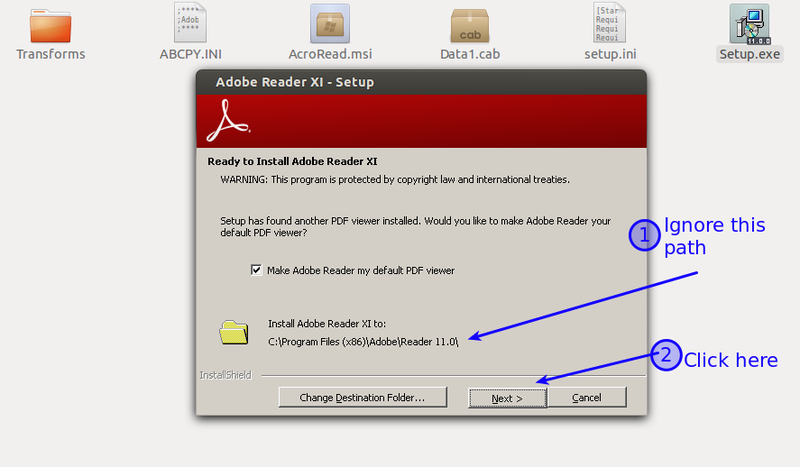 It will take some time to install, in the mean time, download Adobe Reader by clicking the button below. 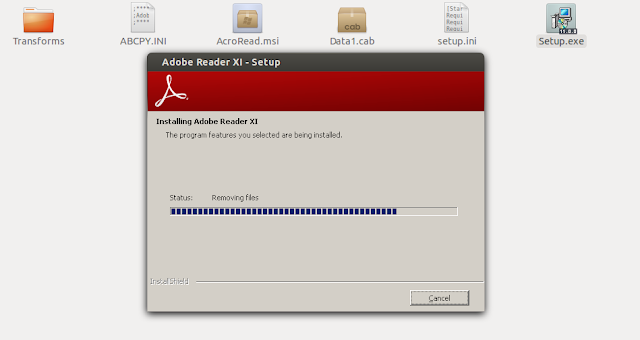 Now right-click on Setup.exe and open with "Wine Windows Program Loader"
After this, wine will start the Adobe Reader installer. 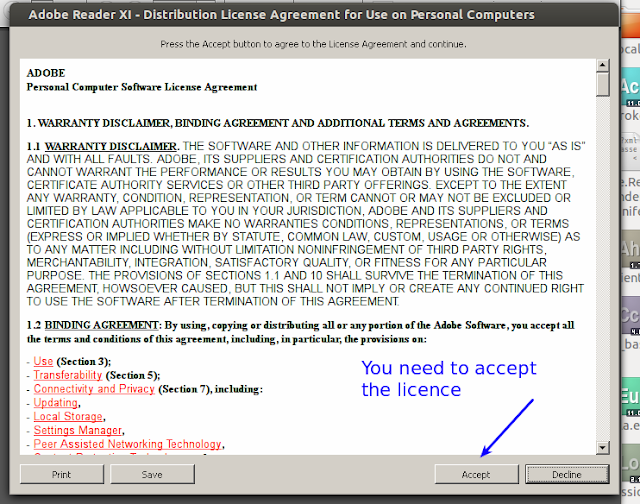 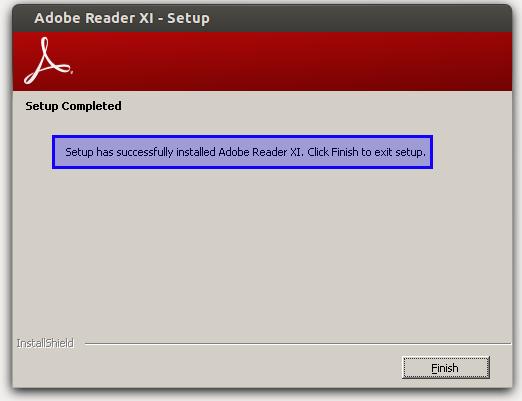 Adobe Reader installer dialog box should pop-up. 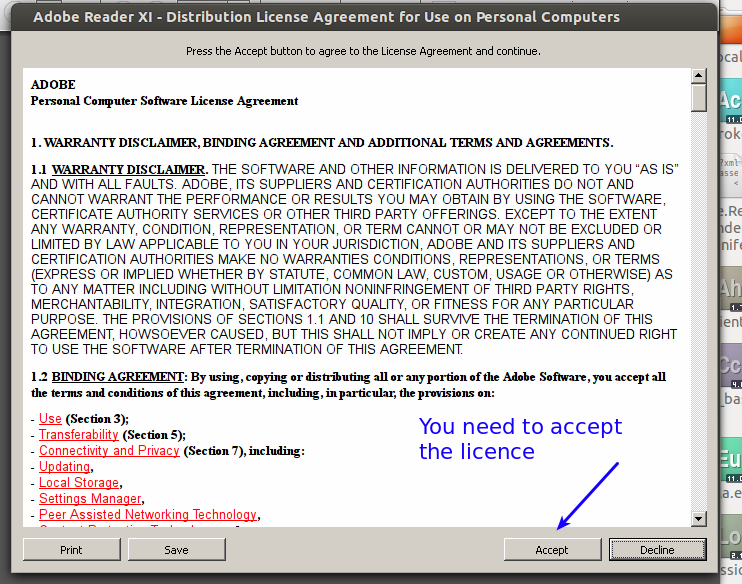 In this, there may be a tick on "Make Adobe Reader my default PDF viewer", you can ignore this, since it may not be able to become the default PDF reader for compatibility issues. 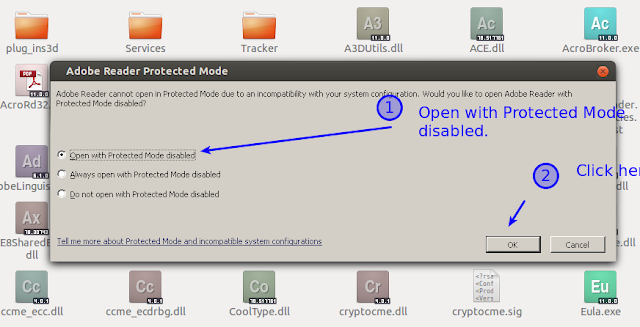 Click on "Next". Now, in the next dialog box, I prefer "Manually check for and install updates (not recommended)", you may click on "Install updates automatically (recommended)" but I am not sure if it will be able to automatically download. 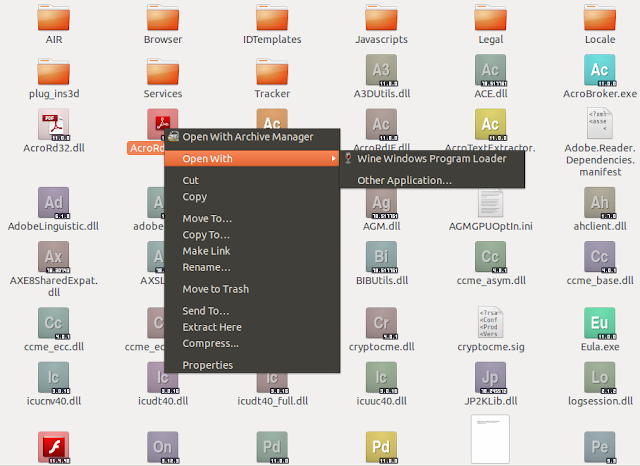 It will start extracting and copying files to appropriate locations(in .wine/drive_c/Program Files (x86)/ folder of your Home folder).